Tablets are becoming omnipresent in our lives and it was only a matter of time before tax preparation software companies craft applications for one of those devices. 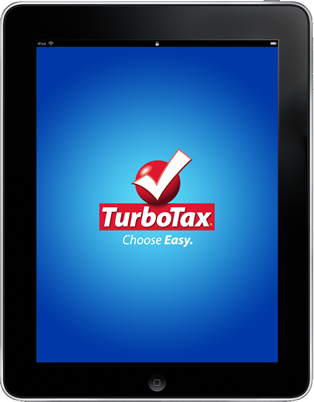 Later this month, TurboTax will release iPad mobile app to get you through the tax preparation process. The main difference between preparing your tax returns on a desktop or iPad is your preference. Millions of Americans are changing their habits introducing more flexibility and convenience in their lives. Now with TurboTax iPad mobile app you can work on your taxes at home or in the park, or demonstrate it to a friend in a coffee shop; the venue and reasons are completely up to you. What’s different between TurboTax iPad app and online software? What doesn’t change when preparing your tax returns on an iPad is the fact that you can still count on the same accurate calculations and maximum possible refund. Just like on a computer-based version, the app walks you through all the preparation steps: start by entering your personal information, wages and income, select deductions and credits, then complete state portion, review information, and file. Before you file your taxes, the app verifies all calculations searching for potential omissions and errors. In instances where inaccurate representation of your tax returns was caused by a TurboTax error, any penalty and interest you pay will be refunded to you. You can efile the return directly from your device and if you choose a direct deposit, you may receive a refund in as little as 8 business days. Occasionally IRS conducts audits to check veracity of statements and your return might be next. In case you receive an audit notification, you can count on TurboTax for help and support. You can contact TurboTax and speak to one of tax professionals to get a better idea on how an audit looks like, what to expect, and how to prepare to successfully complete the audit. Can you file state returns with TurboTax iPad app? For help and support, you can reach to Live Community comprised of tax experts and other TurboTax users. TurboTax guarantees the biggest state refund based on information you provided. Refund monitor displays your current refund based on your answers to tax questions. Are you limited to a mobile app to file taxes on your iPad? Keep in mind that your iPad is not limited to using an app to file taxes. Even though the app was specifically created for additional convenience, you can use you iPad to access any of TurboTax online products. They include: TurboTax Free Edition, TurboTax Basic, TurboTax Deluxe, TurboTax Premier, and TurboTax Home & Business among others.